“By faith Noah, being warned of God of things not seen as yet, moved with fear, prepared an ark to the saving of his house; by the which he condemned the world, and became heir of the righteousness which is by faith” (Heb 11:7). Faith did a great work in and through Noah. He prepared an ark. The ark is a type of the Church. Those who do not have faith cannot build the Church of God. What was the purpose of the ark? It was to save all those who entered it. Those who entered it went up when the floods came. Similarly, those who are in the body of Christ (prepared as the Bride) will go up at the Rapture when the judgment of tribulation comes upon the earth. 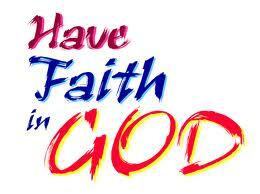 By faith Noah took the warning seriously and acted upon it. Do you take the warning that Jesus is coming soon, seriously? If you don’t, it means you have no faith. “By faith… prepared.” Jesus is coming soon. Why are people not prepared? They have no faith. Noah did not worry about where he could get men to build such a large ship. Manpower, time, availability of designing engineers, the large sum of money needed etc. did not bother him. Faith moves us to do great things for God.